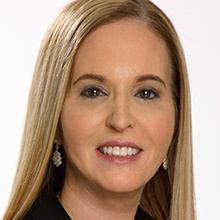 Deborah Weinswig is an award-winning global retail analyst and a specialist in retail innovation and technology. As the Managing Director of Fung Global Retail & Technology, she is responsible for building the team’s research capabilities and providing insights into the disruptive technologies reshaping today’s global retail landscape. She was ranked a top Retail Influencer by Vend for 2017. She most recently served as Head of the Global Staples & Consumer Discretionary Team at Citi Research where she consistently ranked among the top analysts. She sits on the Advisory Board of several accelerators including Alchemist, The Cage (Lane Crawford), ERA, Grand Central Tech, Plug & Play, and TrueStart. She is involved in early stage investing through the Hong Kong Business Angel Network (HKBAN) and Golden Seeds. She is also an advisor to companies such as Eventable, Fashwire, NanoPay, RetailNext and Rubin Singer. Deborah sits on the advisory boards of philanthropic organizations including Dignity U Wear and StreetSoccer USA. She is an executive board member on The Terry Lundgren Center for Retailing, advisory board member of the World Retail Congress and was recently named to the Board of Directors of Kiabi. Lastly, she is an e-commerce expert for the International Council of Shopping Centers Research Task Force.